Some bikers put their motorcycles away after Labor Day weekend, but many look forward to what can be some of the best riding weather. If you're planning on riding during autumn, make sure your bike is safe and ready to handle the change of the season. After the summer riding season, your bike may need a tune-up. Check that all parts are functioning correctly and that you have good tread and air pressure in your tires. Make sure your fluid levels are good and that all controls are working properly. Autumn has many temperature changes. It can be quite chilly in the morning and still reach the mid-70s or 80s in the afternoon, depending on where you are. The best thing you can do to adjust to the changes is to dress in layers. You should never wear cotton as a base layer. Use thermal underwear or something with a synthetic blend as your base layer. On top of the base layer, wear comfortable riding attire. Don't wear a hoodie, but rather a zip-up sweatshirt or shirt. It might be too hot to wear leather during the summer, but it's perfect for fall. 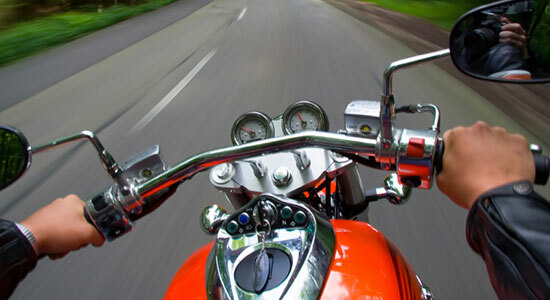 Leather motorcycle jackets or chaps can protect you from the wind and keep you more comfortable while riding. They usually also have removable liners. Finally, it's a good idea to wear a pair of synthetic glove liners underneath your leather biker gloves and pack fingerless leather gloves in a storage compartment. You'll be able to switch in the afternoon when you get too warm. Cold air can be harsh on your eyes, so switch to a Department of Transportation-approved helmet. A raw, chilling rain can cause hypothermia quickly, especially if you're not wearing the best riding attire. Always pack your rain gear, just in case. Fallen leaves can be very slippery and cause accidents, and many deer are more active during autumn – especially during dawn and dusk. Keep your eyes out for any riding hazard so you have time to react. Following these guidelines can help you make the most of your fall riding season and enjoy the weather before any snow sets in.